SURPRISE, Ariz. - April 9, 2019 - PRLog -- Lennar is excited to bring new homes to the Surprise area with two brand-new collections coming soon to Marley Park—Discovery and Horizon. Set within an amenity-rich and desirable masterplan, new Lennar homes will offer a diverse selection of new home designs including their popular Next Gen® - The Home Within A Home® design for multigenerational living. The interest list is now forming and prospective buyers are encouraged to join to receive up-to-date information including pricing and an invitation to the Grand Opening event. "Our new collections will offer buyers an incredible opportunity to own a new, Everything's Included® home in Surprise and within a remarkable masterplan boasting resort-inspired amenities such as pools, parks and a clubhouse," said Alan Jones, Division President for Lennar Phoenix. "Whether you're looking for a carefree, single-level design or a floorplan with enough space to move your elderly parents in with you, Discovery and Horizon at Marley Park will offer a wide selection of designs to meet the needs of every type of family." Discovery at Marley Park will offer a collection of four single-story designs ranging in size from approximately 1,742 to 1,953 square feet including three to five bedrooms and two to three bathrooms. Horizon at Marley Park will offer a collection of four larger, single-story floorplans ranging in size from approximately 1,953 to 2,472 square feet including three to four bedrooms and three to three and one-half bathrooms. New homes are designed for the way people live today and showcase open-concept layouts for easy entertaining, outdoor living areas, gourmet kitchens, spacious secondary bedrooms for the kids, sophisticated owner's suite with spa-inspired bathrooms and flexible spaces per plan. Additionally, with multigenerational living on the rise, both collections offer Lennar's popular Next Gen® - The Home Within A Home® design that can comfortably accommodate multiple generations under one roof. The layout works by providing a main home plus an attached suite with its own entrance and living space, ideal for elderly parents or long-term guests. Best of all, new Lennar homes at Marley Park arrive in style. Through Lennar's signature Everything's Included® program, the designer features and upgrades you want are included at no additional cost. Enjoy granite or quartz kitchen countertops, high-quality cabinetry, energy-efficient appliances, home automation technology and much more—all as standard. The program helps facilitate the homebuying process while adding tremendous value to new homes. Marley Park is the type of setting you've always imagined for your family. It has everything you've been searching for: a host of amenities, that close-knit neighborhood feel and is near plenty of recreation and entertainment. On warm days, residents will love spending hours at the Heritage Pool House with neighbors and friends. There are 18 parks to explore, all linked by an Arbor Walk. There's the Heritage Club for special events and activities, two schools within the neighborhood and a plaza for shopping, services and restaurants. Marley Park has it all! 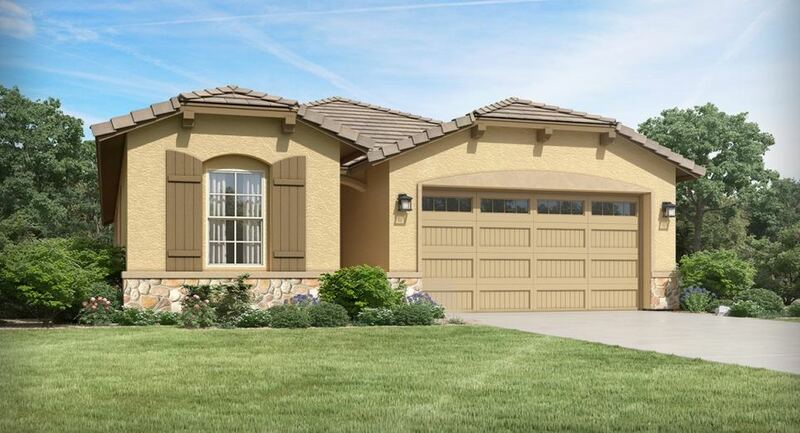 Prospective home shoppers are encouraged to join the interest list here (https://www.lennar.com/new-homes/arizona/phoenix/surprise...). For more information, please visit www.lennar.com/phoenix or call 800-864-1058.